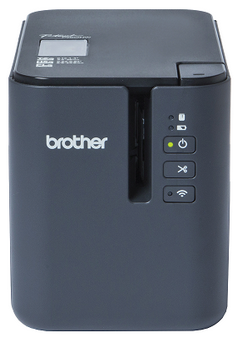 The network label printer PT-P950NW really comes into its own. Keeping labelling clear and consistent unlike everyone producing their own versions from different devices and printers. Now multiple users can access the same professional labelling resource, with print speeds up to an impressive 80mm per second and resolution of up to 720 x 360dpi. The labelling software is held on the network too, so there’s no need to upload to every PC and laptop individually. Particularly useful when you need to produce lots of labels at once, the PT-P950NW is especially suited for use in manufacturing, around offices and in the post room. Prints 6, 9, 12, 18, and 24, 36mm, TZe laminated labels.